New York, NY – Avrett Free Ginsberg (afg&) announced today that it has been named creative agency of record for the United States Equestrian Federation (USEF). In support of USEF’s new strategic plan, afg& will develop a new integrated campaign, including video for TV and digital, print work, and social, which will launch in January of 2017. All work will be developed out of afg&’s New York office. “Coming off the excitement of seeing the equestrian sport brought to life in Rio and the success of the US teams, we’ll work with Murray and the team at USEF to promote all horse sports, foster growth at all levels and unite the equestrian community,” commented Frank Ginsberg, Creative Chairman and CEO of afg&. “Equestrianism has a unique combination of athleticism, grace and power – and we see a terrific opportunity to extend the USEF mission and leverage the unique bond between horse and rider”. 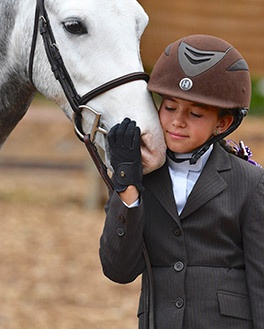 The United States Equestrian Federation is the National Governing Body for Equestrian Sports in the United States and is dedicated to uniting the equestrian community, honoring achievement, and serving as guardians of equestrian sport. Since its inception in 1917, the Federation has been dedicated to pursuing excellence and promoting growth, all while providing and maintaining a safe and level playing field for both its equine and human athletes in all of its 29 affiliate organizations. An icon of the original New York creative revolution, afg& traces its roots as an entrepreneurial advertising agency to a humble apartment in 1972. From the people behind the ideas, to the clients, to the final result, afg& never loses sight of the core value upon which it was built – caring about a client’s business. That’s why many of our partnerships have been 40+ years in the making. We have a strong history of creating iconic big ideas – Pearl Drops “Oh What a Feeling” tongue over teeth demo, Cat Chow “Chow Chow Chow,” Nair “Who Wears Short Shorts,” Enterprise “We’ll Pick You Up,” DeLorean “Live the Dream,” Sally Hansen “Beauty That Works,” Felix Cat Food “Clever Cats Get Felix” and Bacardi Rum “Bacardi by Night”. Offices in NY, London, Sidney, Singapore, Sao Paulo.